Input: MIDI IN (5 pin DIN) & Remote (6 pin DIN). 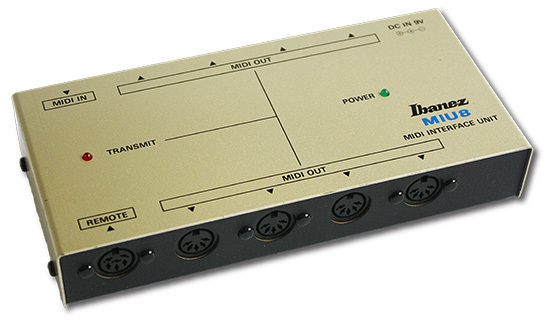 Of all the devices profiled on the Vintage Roland Guitar Synth website, the Ibanez MIU8 is the most obscure, rare, hard-to-find item featured. 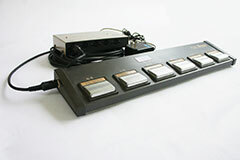 Similar to the way the Roland FC-100 and FC-100 MKII can be used as stand alone MIDI pedals with the Roland RMC-1, the IFC60 has the ability to be used as a stand-alone MIDI foot controller when used with the MIU8 MIDI Interface. The very rare MIU8 is a really cool box, that could double as a 1-in, 8-out MIDI thru box, or as a MIDI interface/breakout box for the IFC60. 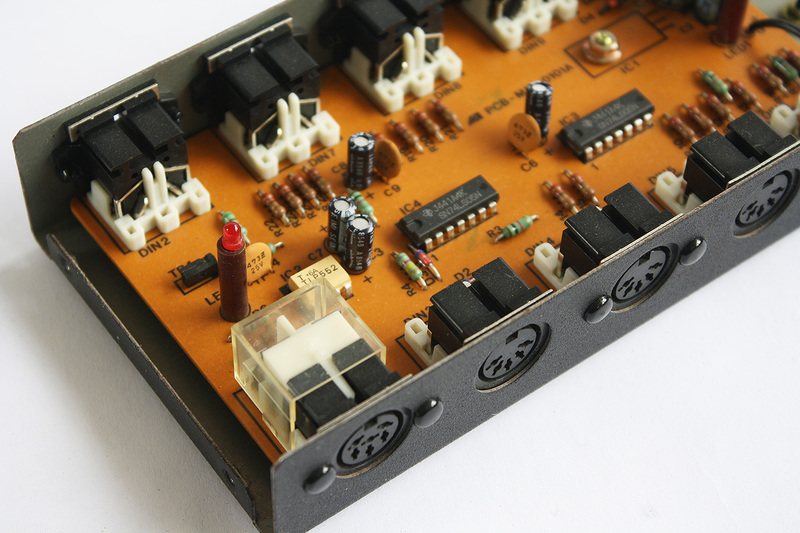 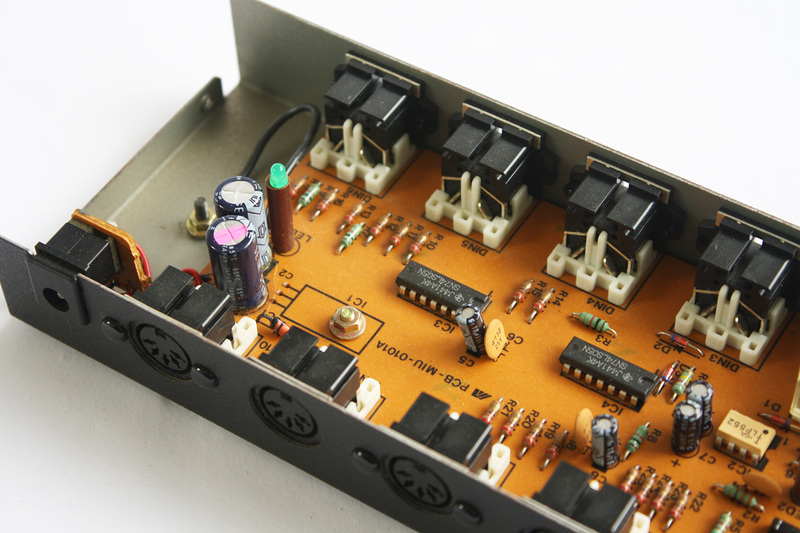 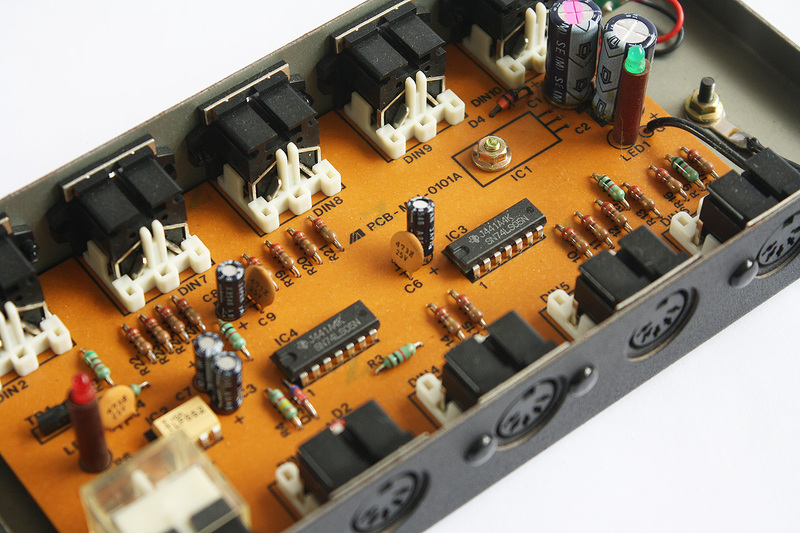 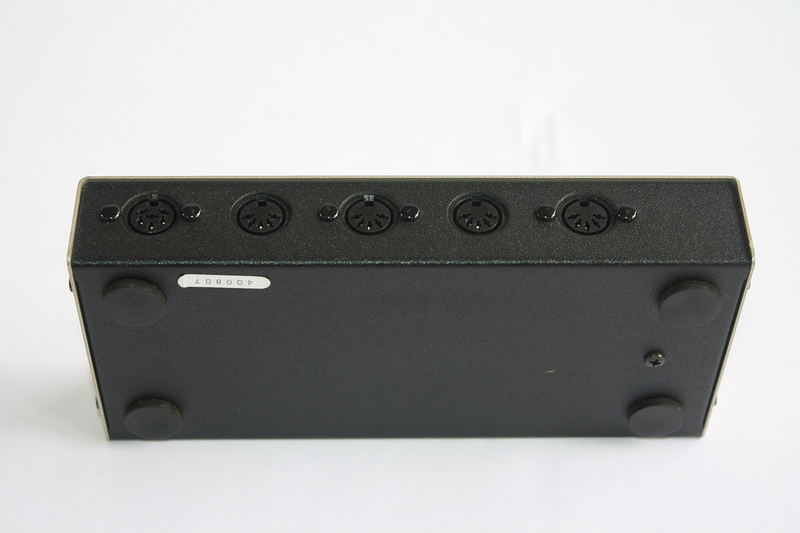 The MIU8 has both a MIDI input and a 6-pin Remote input for the IFC60. 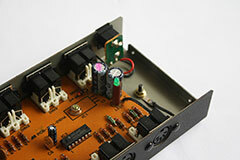 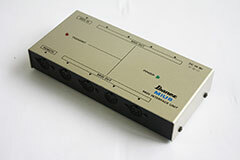 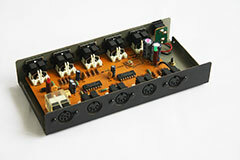 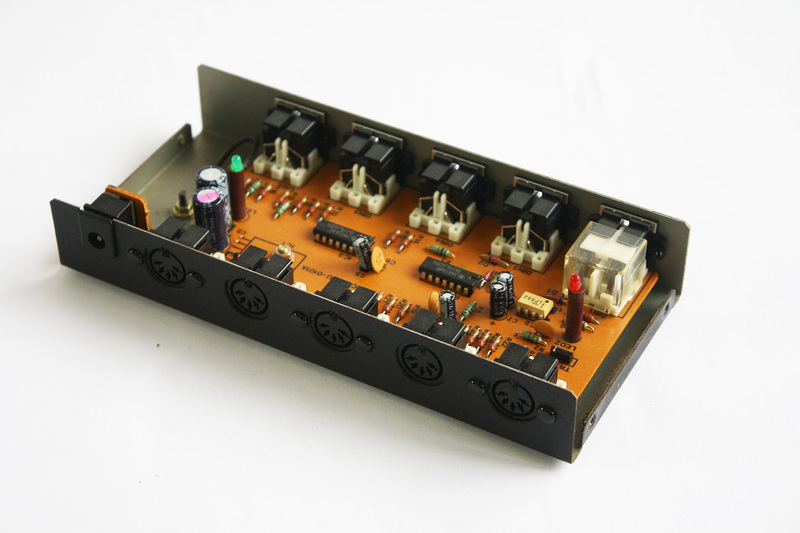 Without the IFC60: The MIU8 works as a basic, one input, eight output, MIDI thru box. 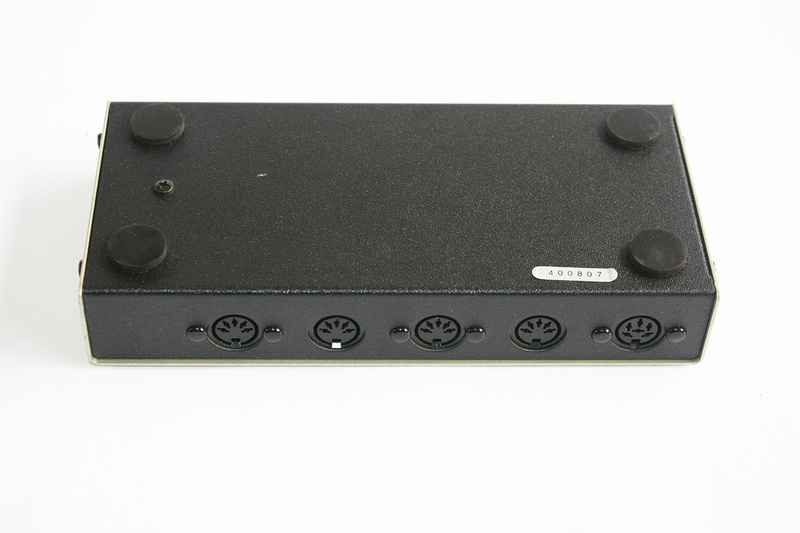 I was able to transmit MIDI notes and MIDI patch change information from the input to all eight outputs. 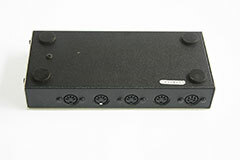 With the IFC60: MIDI input is ignored, and only messages from the REMOTE (IFC60) input are used. 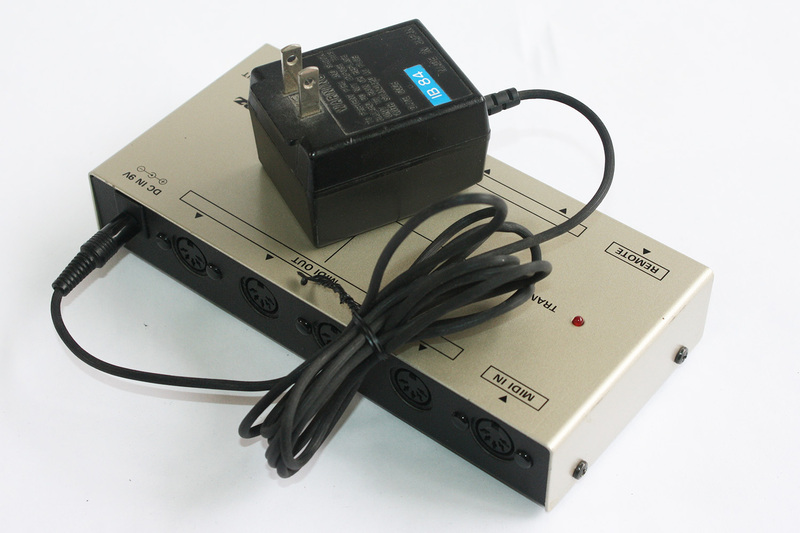 I was able to send patch changes from the IFC60 with no problem, but the MIDI INPUT was ignored. 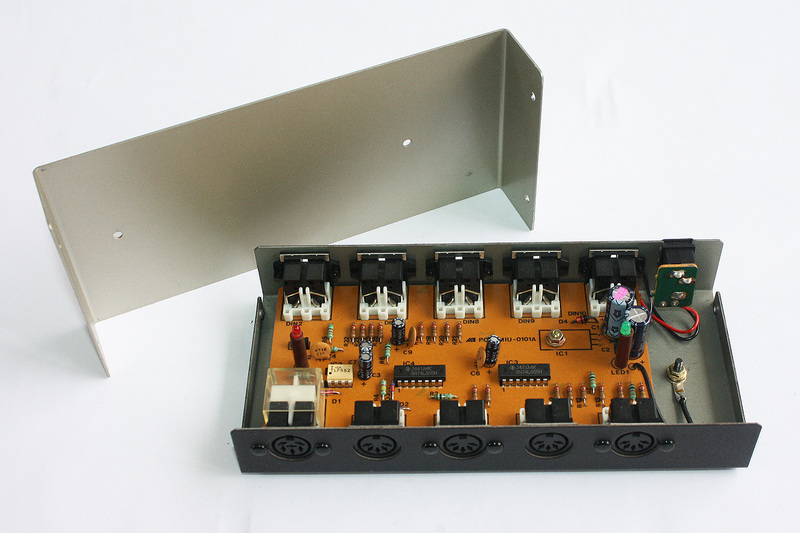 Download the MIU8 Service Manual Schematics (pdf). 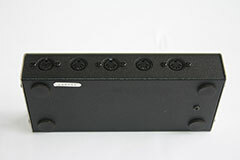 There are no known service bulletins from Ibanez addressing any MIU8 problems.